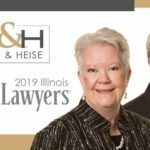 BARRINGTON, IL January 25, 2019 – Chicago area divorce and family law firm, Bush & Heise is proud to announce that Founding Partners, Anna M. Bush and Brian L. Heise, have been named to the Illinois Super Lawyers lists for 2019. 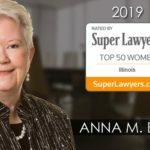 Additionally, Ms. Bush was named to the Top 50 Women Lawyers in Illinois list – making here part of an elite group of Illinois female attorneys to have earned this distinction. Super Lawyers, a rating service owned by Thomson Reuters, evaluates lawyers from more than 70 practice areas who have attained a high level of professional achievement and peer recognition. 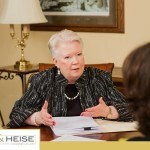 Through a multiphase process that includes statewide surveys, peer reviews, and independent research, the Super Lawyers selection team assembles a list of diverse and exceptional attorneys. Each year, no more than five percent of attorneys practicing in Illinois receive this prestigious designation.